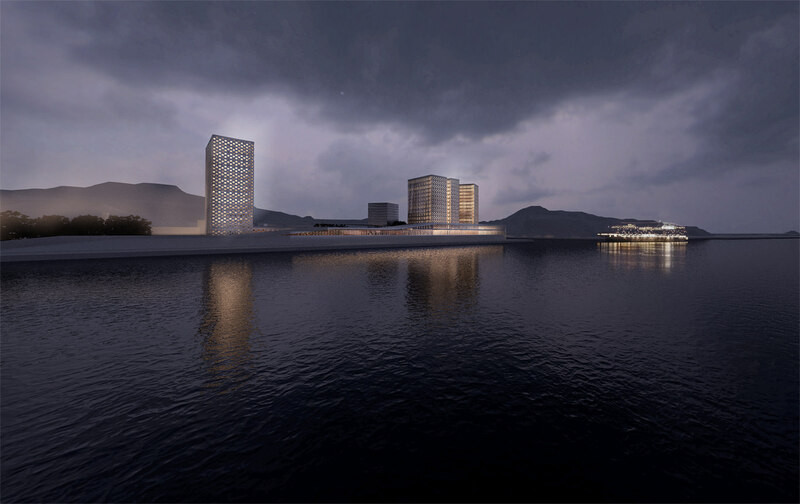 ACDF’s design for the Keelung Harbour Service Building international competition was shortlisted by the jury. 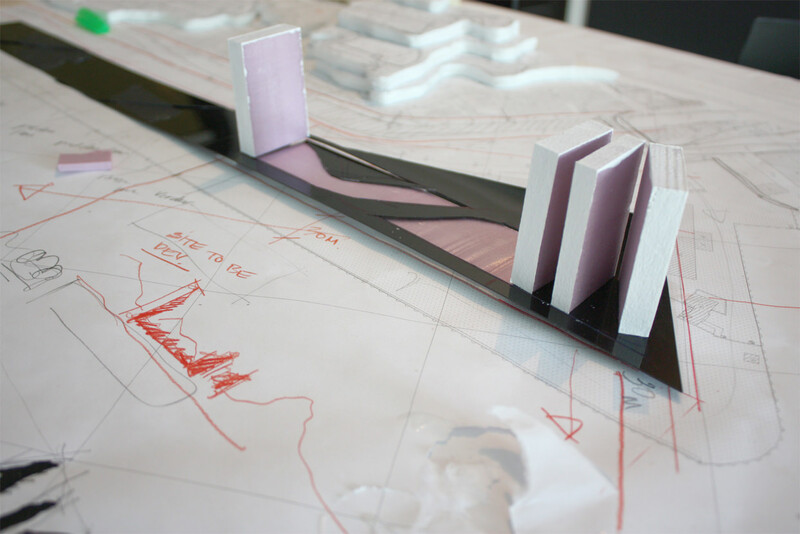 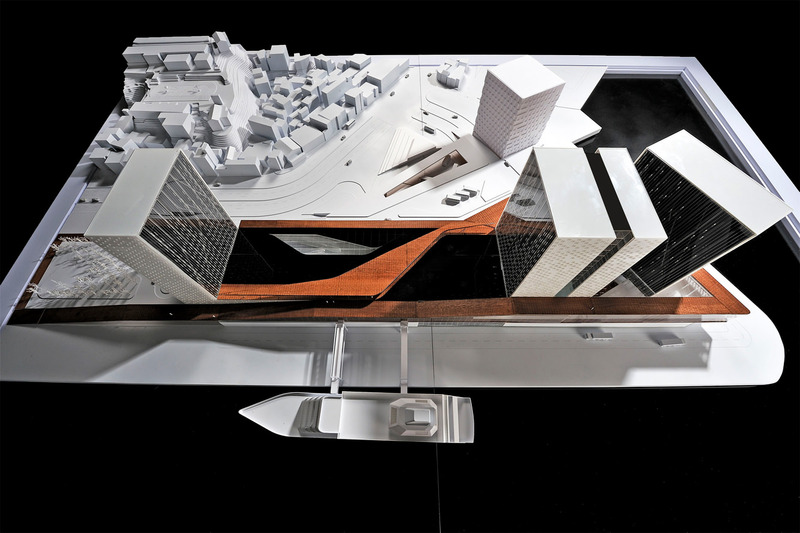 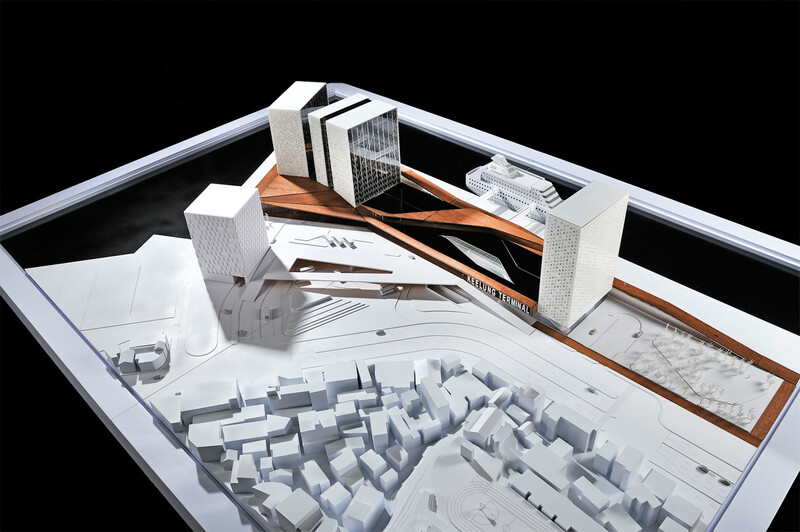 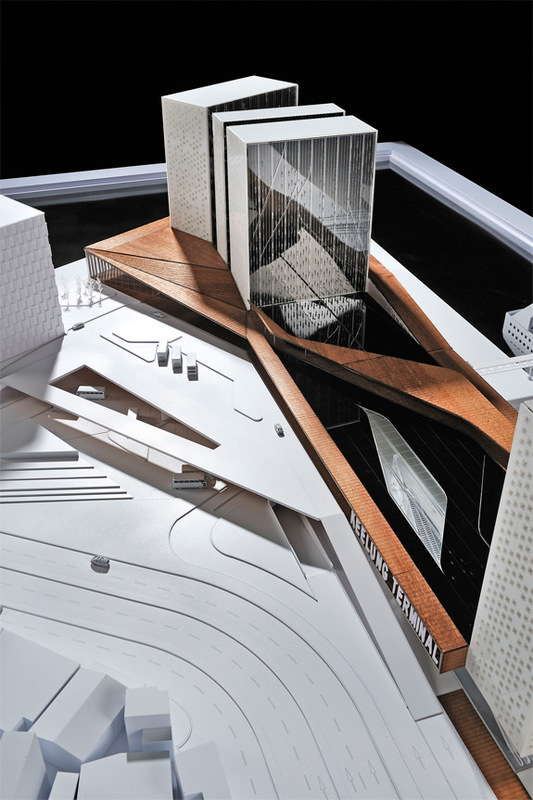 The team’s proposal consists in an elevated topography on which rise four towers. 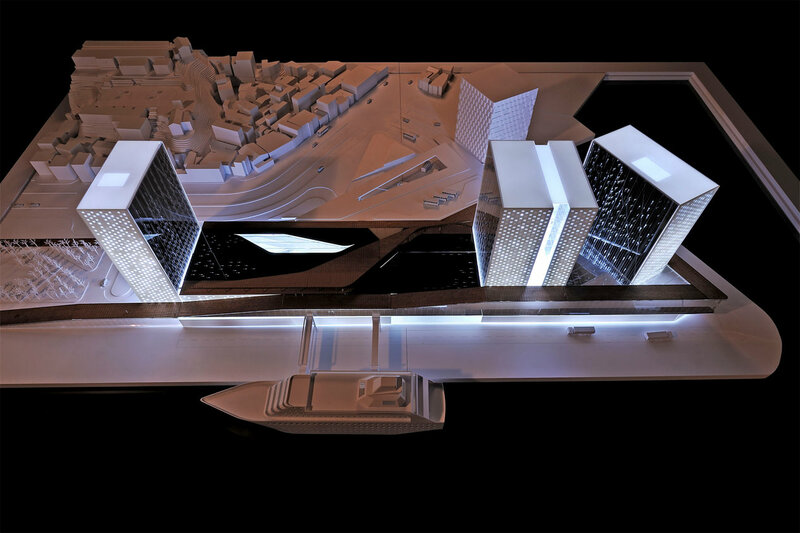 The rectilinear geometry and the iconic presence of these volumes define the space of the terminal and frame views on the landscape. 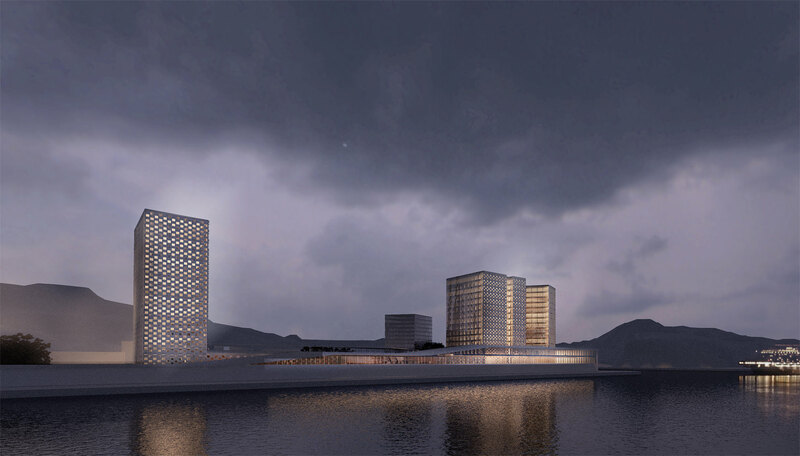 At the heart of this new infrastructure, a public plaza with numerous inspiring water features gives back to Taipei’s residents their long-lost access to the sea.